Home » birthday , celebration , ray bradbury , science fiction » Happy 90th Birthday to Ray Bradbury! Happy 90th Birthday to Ray Bradbury! 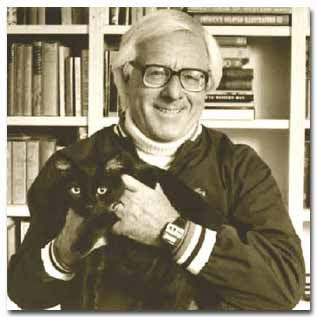 On this, the occasion of ninety years since he first arrived in our world and in thanks for the many new worlds that he has since given us - as well as daring us to look at our own anew - The Knight Shift and its eclectic proprietor wishes author Ray Bradbury a very Happy Birthday!